Recently, OCZ began simplifying its SSD product line quite significantly in order to make the decision-making process easier for consumers. This was also encouraged by the fact that even budget models today offer some great performance. 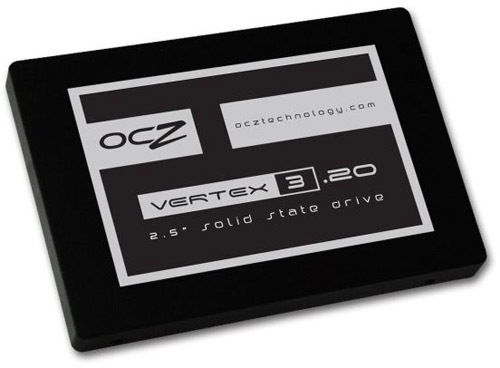 OCZ’s Vertex 3.20 targets that market, replacing the Agility and Vertex 3. Is it a worthy successor? As enjoyable or impressive as the most powerful SSDs can be, the reality is that any modern budget SSD has reached the point where it is more than fast enough to deliver considerable performance gains over hard disk drives, even including 10,000 RPM performance drives. If we took a system and asked someone to identify which kind of SSD is housed inside without using benchmarking software or any identification tools, odds are they won’t have any idea whether it was a low-cost SSD or a flagship model housed inside. That brings us to the Vertex 3.20 SSD. The 3.20 is an updated Vertex 3 model featuring the latest firmware, while replacing the 25nm MLC NAND with the latest 20nm IMFT NAND (hence the name). The new NAND is marginally slower but offers cost savings that will allow prices to keep trending downwards. The Vertex 3.20 maintains the same black chrome metal base and plastic cover of the V3, and similarly features one green and red status LED. The red LED will only come own when the SSD firmware detects a fault, while the green LED simply indicates power status. The Vertex 3 was once OCZ’s flagship model SSD in of itself, so other than the change in NAND the 3.20 retains that pedigree. As such the 3.20 remains a SandForce-powered SSD, meaning performance will vary depending on the compressibility of the data being written. The 3.20 will be replacing the discontinued Vertex 3 drives, with street prices currently at $129 for the 120GB model and $259 for the 240GB model. The table below lists the hardware used in our current storage-testing machine, which remains unchanged throughout all of our testing, with the obvious exception of the storage device. Each drive used for the sake of comparison is also listed here. The Core i7-2600 processor is turbo-locked at 3.5GHz for result consistency. Only the Intel 6Gb/s port controller is used for test drives. For our new Sandy Bridge storage testbed we have migrated to using test images for our drives. All drives are imaged with the cloned test image to ensure all drivers, programs, and settings remain identical for testing purposes. We feel disk cloning software and SSD controller technology has matured to the point where potential issues such as non-aligned sectors are no longer a potential issue. For testing, we run all tests five times dropping the highest and lowest results, then take the average of the middle three. And who said that college statistics class wouldn’t prove useful? If any anomalous results are seen the test will be run again. Given the complexities of modern computers, and especially today’s operating systems and the software that runs on them, we feel this provides the most accurate results possible. Finally, we are seeking to constantly improve and expand upon our SSD testing methodology. We are always actively seeking real-world workload scenarios that are bottlenecked by hard drives, so if you have any suggestions whatsoever or there is a program you would like to see included in our SSD content, then please drop by our forums and let us know! We are always looking to expand our SSD benchmarks and provide more useful and real-world results, and not just synthetic numbers.